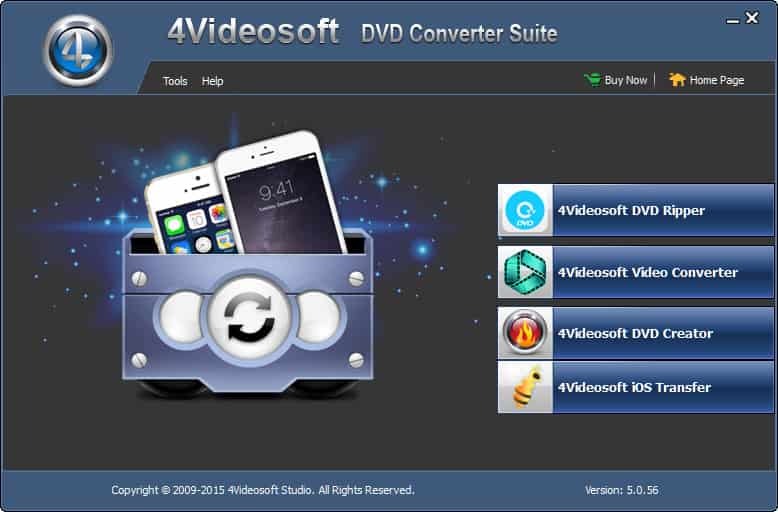 4Videosoft DVD Converter Suite is able to help you a lot. It is packed with the popular DVD Ripper Platinum, Video Converter Platinum and iPod to Computer Transfer. You can convert DVD movies to 3D movies and other popular video formats easily. It highly supports popular video formats like MP4, MOV, M4V, WMV, AVI, FLV, MOV, etc. You can also back up your files like music, movies, and photos from iPod to computer. 4Videosoft DVD Converter Suite is able to convert DVD movies and general videos to 3D movies with the best conversion speed and quality. You are able to enjoy your videos on your 3D TV or other devices which can play them. You can convert DVD movies and general videos to popular video formats with ease. This DVD Converter Suite can support many kinds of video formats. These output videos are compatible with the popular iPhone 5S, iPhone 5C, iPhone 5, iPad Air, iPod touch, Samsung Galaxy S4, Samsung Galaxy Note 3 and more. 4Videosoft DVD Converter Suite is professional in transferring iPod files to your computer without limitation. You are able to transfer iPod files like music, movies, photos, etc. to PC easily. 4Videosoft DVD Converter Suite enables you to use the trim, crop, effect, watermark and nice 3D settings. With them, you are able to edit the output video freely. You can use the 3D effect to set the anaglyph and split screen. And you are able to modify the video effect, reset the video size and length, add personalized watermark, etc.